Faced with the choice of two villages of only a few stone buildings each, local authorities decided in 2007 that Kwajok should be the capital of Sudan’s 41,000 sqkm Warrap State, even though it boasted little more than a mission school. Warrap, like the rest of war-ravaged Southern Sudan, faces profound poverty; a lack of social services, clean water, roads and telecommunications; food insecurity and an inadequate budget, says caretaker state governor Salva Mathok Gengdit. The state, the home area of Southern President Salva Kiir, also faces multiple security threats that have killed 157 people so far this year - out of 446 violent deaths in the semi-autonomous Southern Sudan as of 15 March, according to the UN. Against this background, the governor doubts the viability of complex elections due on 11 April, Sudan’s first in more than two decades, and a key component of the 2005 accord that put an end to the north-south war. He told IRIN he felt “Sudan is going for unhealthy elections” although he had grown more confident as the campaign progressed. Speaking from his pre-fabricated office powered by a struggling generator, he had “so many reasons” for his doubts, not least the fact that “the population was not prepared” and “every house has a gun”. The logistics alone of delivering ballot papers and 5,000 boxes to remote rural areas are daunting: “If we think about it we will not do it,” Margret Akon Majok of the state’s high committee for elections, told IRIN. Mathok said many people in Southern Sudan would have preferred to “wait for an election in which there can be two boxes only: ‘South Go’ or ‘Unity’”, referring to a referendum planned for January 2011 that could lead to Southern independence. The electoral commission’s office is a hive of activity in the burgeoning town. In a few hot rooms, crammed with cardboard boxes, training brochures, banners and posters, constituency election officers mill around after completing a three-day training course. The 28 officers should be returning to their areas to train their subordinates and set up their stations. But money for their per diems and travel has yet to arrive from the central election commission in Khartoum. Election rules permit illiterate voters to be assisted but doing so fairly for some 300 illiterate voters a day will be a serious challenge. Mathok said the campaigns were going “very smoothly”, despite his earlier fears. However, he was “studying” the potential for a “mess-up”. At 62, he had never voted and he shared the general anticipation of those who “want to elect leaders of their choice”. The UN and bilateral donors have been working with the Government of Southern Sudan (GOSS) on security preparations, especially training police, who will secure polling stations and manage crowd control. However, the security apparatus was very weak, said one election adviser who requested anonymity. The Sudan People’s Liberation Army (SPLA), a rebel group until 2005, is very closely associated with the dominant party, the Sudan People’s Liberation Movement (SPLM), but is required to be neutral. It also has absorbed forces from other armed groups over recent years and observers suggest the integration of forces is not fully complete. Akon said she hoped for a turnout of 50 percent in the three-day poll, even though she admitted civic and voter education was weak, especially outside the towns in the “new-born” state, which has little or no radio or TV. But even an imperfect exercise had value in “testing the democracy”, she said. The elections will be “far from international standards” according to a senior election adviser in Juba, the Southern capital, but a “first step” to establishing an election process that will be needed again for the referendum in less than a year’s time. An election support official closer to the ground said preparations were late and a “big mess”, and the major risk was that if the election went badly, rather than establishing “legitimacy”, it could have the reverse effect. As well as international observers from the EU, African Union, Carter Center, and Arab League, about 750 domestic observers are expected to participate. 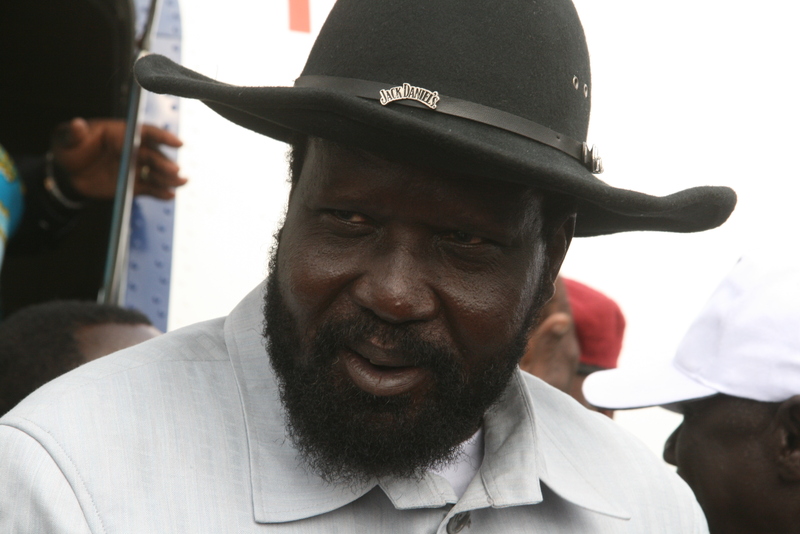 Warrap’s security problems reflect those of Southern Sudan as a whole. Mathok said his state faced three main sources of insecurity: cattle raiding and fighting within and between ethnic communities in the state, and raids from neighbouring states. In addition, seasonal migration of Misseriya herders from Northern Sudan could cause trouble, he said. The Misseriyas’ normal migration in November and December had been delayed, he said, by “politicians in Khartoum”, who have politicized traditional grazing rights and local-level agreements that previously allowed peaceful seasonal movements, over the issue of their weapons. “This is where we expect the trouble soon,” he said, stating that the Misseriya could only move in the state with very minimal arms because “we are now disarming our population... so there is a contradiction there”. Mathok, claiming that 75 percent of the state had been disarmed, said “our weakest point now is that the guns have gone now and then in other areas they still have guns... our population is going to be vulnerable... we need to protect them”. 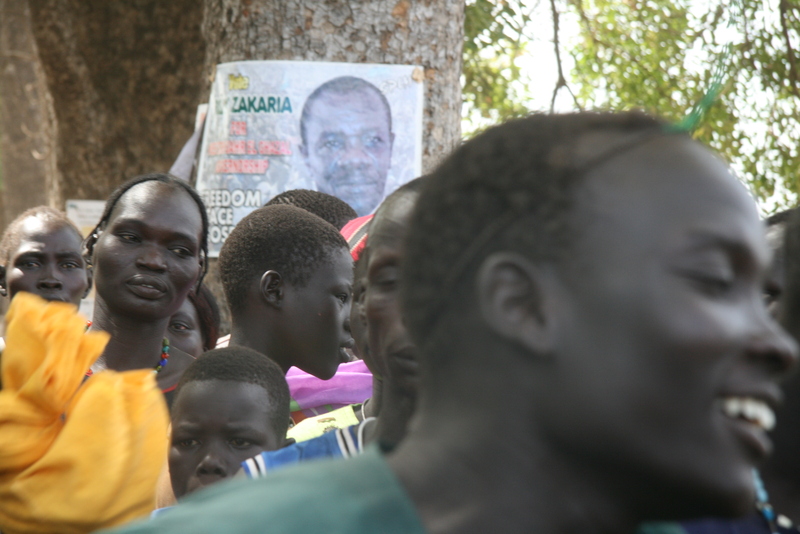 Disarmament of the civilian population has long been a goal of the SPLM and GOSS. Over the past few years SPLA operations to confiscate guns from civilians have been marked by clashes and resistance elsewhere in Southern Sudan, especially Jonglei state. In an incident in the Palal area of Tonj East county of Warrap state this month, Mathok said SPLA forces killed 14 civilians and burnt houses. Humanitarian sources say the SPLA troops also deliberately damaged schools and a clinic when a disarmament operation went wrong, apparently in an argument over milk. During the civil war, SPLA typically relied on local people for food. The Palal row sparked killings by the SPLA, which provoked the well-armed civilians to retaliate, according to observers. Erin Weir, a peacekeeping advocate with Refugees International, told IRIN in Wau that such incidents were “a worrying trend at a moment when people are going to be more dependent on the SPLA”. While disarmament was necessary for long-term stability and peace, Weir said, local security capacity had to be enhanced and unbalanced disarmament was evidently risky.